Are you searching for a licensed and insured residential heating contractor in Vancouver, WA? For over 40 years, we have been proud to serve Vancouver with a number of home heating services, including installation, repair, replacement, and maintenance. We have an A+ Rating with the BBB (link) and would love a chance to earn your business! The HVAC heating technicians on the Area Heating & Cooling, Inc. team are never more than a phone call away. No matter how you may choose to heat your home, you need to have a professional heating contractor available to handle your heating installation, heating repair, replacement, and maintenance services. For the past four decades, we’ve been proving to countless satisfied customers that we’re the heating professionals to trust. The first step in ensuring that you are able to heat your home successfully is to not only invest in a great heating system, but also to choose a heater that suits your personal user preferences. We’ll help you to find the right heater for your needs. We install and service a great selection of heating systems, including the following. Furnaces, which are forced air heating systems that use electricity or the combustion of gas in order to generate heat with which to warm air directly. Ductless systems, which use heat pump technology for both heating and cooling without the need for any ductwork at all. 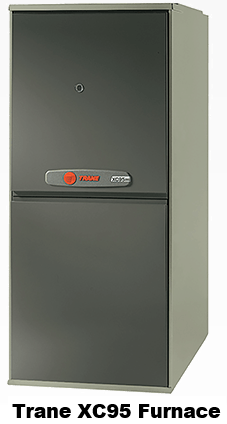 Dual fuel systems, which combine the versatility and efficiency of a heat pump with the steadfast determination of a furnace. Heat pumps, which are able to act as air conditioners in the summer while reversing their operation in the winter in order to transfer heat into the house. When investing in a brand new heater for a brand new property, or replacing an old heater in Vancouver, WA that has nothing left to give, it is always necessary to work with trained professionals. The only way in which you can be certain that your heater is functioning not only effectively and reliably, but safely as well, is to have it professionally installed. We’ll make sure that this is the case. Ideally, your heater would never run into operational problems of any kind. That is not the reality of the world that we live in, though. At some point, your heater may fail to start up, fail to run consistently, start blowing cool air, etc. Whatever the case, remember that prompt heating repairs in Vancouver, WA are the best way to prevent unnecessary damage to your system. Want to keep problems with your heating system to a minimum? Scheduling annual heating maintenance with a qualified heating contractor will help you to do so. We encourage you to explore the benefits that our preventative maintenance program has to offer. Our technicians are happy to keep your heater in the best working condition possible.